Please be sure to scroll down the page often, as newly added pets may be placed in random areas. Buddy is the name! I came to the shelter on 8/8/2017. 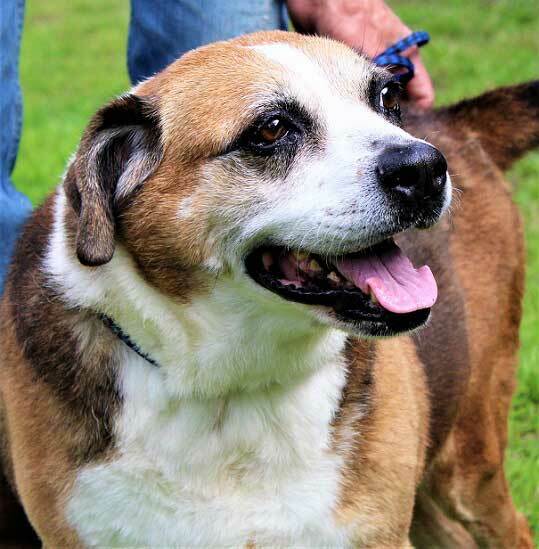 I am a 7 year old neutered Hound mix. I am house trained, walk great on a leash, get along with other dogs and cats, and I am better with older kids. I need to be someone’s companion. We could do lots of things together! I do not like being on my own, not even for a little while. I do know some commands, and most of all I am scared of thunderstorms. Come by and see me! My name is Daisy! I am a very sweet and shy dog. I came to the shelter on 9/1/2016. 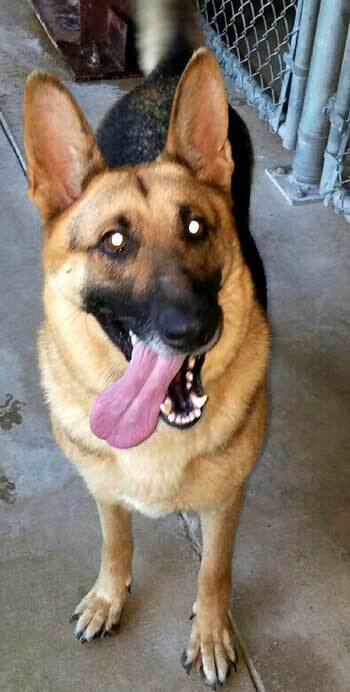 I am 1-1/2 years old, spayed and vaccinated. I love to play with stuffed toys and love to go out for walks, which are pretty neat! I like the exercise. The folks here and some of the volunteers have taken the time to help me with my shyness. Come in and visit with me so I can get to know you! 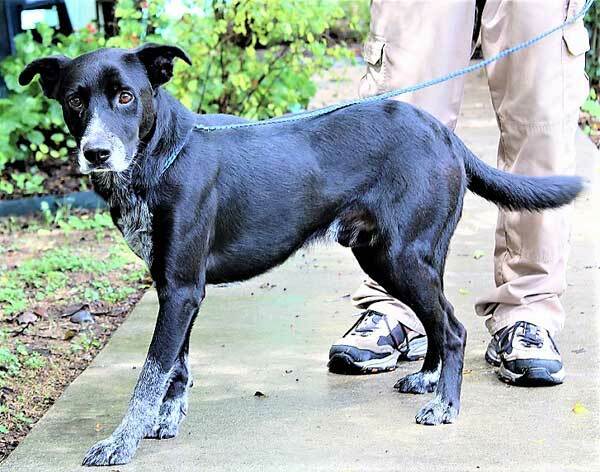 I am Duke, a 2-year-old neutered Lab mix. I am a young dog, pretty laid-back, but still playful, and very sweet! I am house trained, and I like toys, walks, and lots of petting! Come see me! 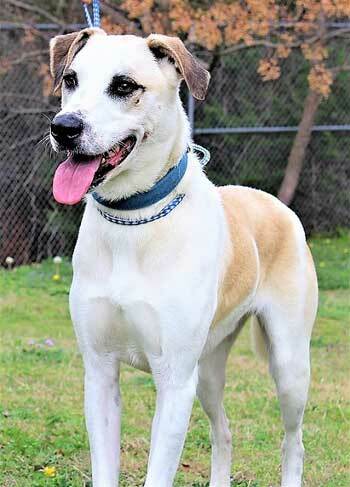 I am a very handsome and laid-back 3-year-old neutered, house-trained Hound mix named Jethro. What a great name for a wonderful hound, don’t you think?! I like car rides, walks on a leash, time spent sunning myself, and I love nice, lazy afternoons on the couch. I came into the shelter on 9/17/2018 and am waiting for you to come in and visit with me! Can you believe it?! My name is Baskerville — how appropriate! The great folks here call me a “gentle giant.” I am really a big marshmallow. I came to the shelter on 9/17/2018. 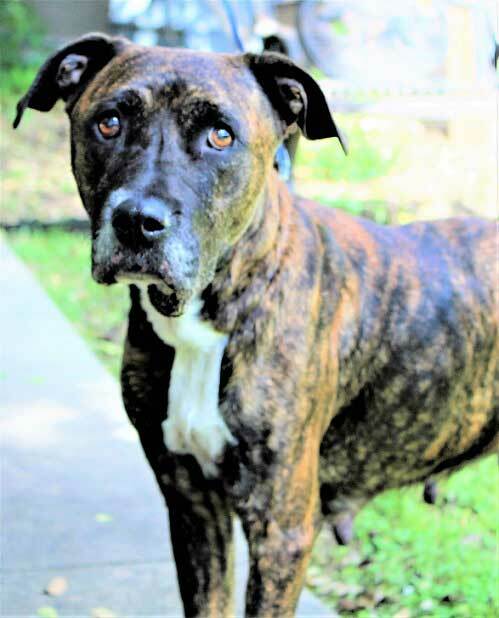 I am a neutered 2-year-old Catahoula mix. I do better with older kids. I have lots of hobbies — going for walks and exploring new places, riding in cars, having good conversations, and nice afternoon naps in front of the TV. Plus, I am house trained! Come on in and see me! Draco is my name! 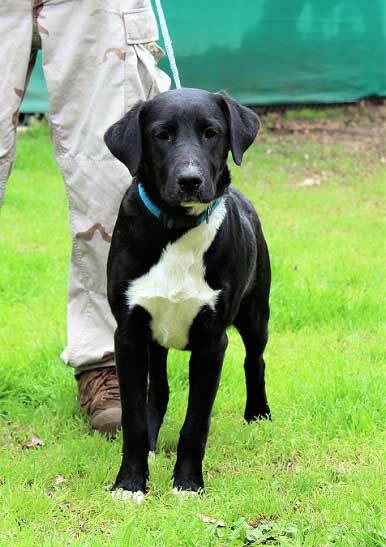 I am a very sweet and energetic 1-year-old neutered Lab mix. I am still a pretty young dog, and I am having fun learning new and exciting things! I do like to pick my own friends, but then who doesn’t! I love doggie doors — I am real good at going in and out whenever I need to. Hi, everyone! I came to the shelter when my owner no longer wanted me. 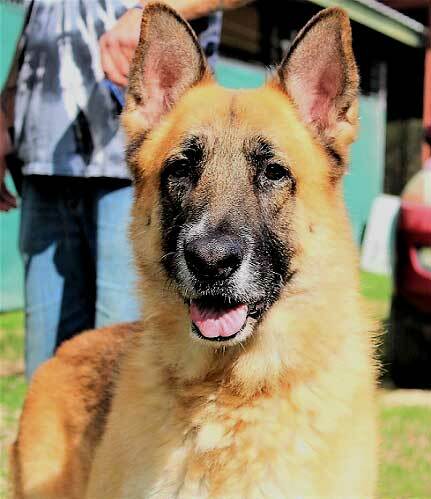 My name is Sorsha and I am an 8-year-old spayed female German Shepherd. I am house-trained, strong, sweet, fiercely loyal, friendly to most, and OHHH so very beautiful! I would be better in a home as the only animal. I also get very nervous around smaller kids. I am used to a quiet home. Please stop by and visit with me! Delilah came to us on 8/21/2013. She is a 10 month old spayed Lab mix. She is house trained, knows a few commands and she likes to ride in cars. She is young, playful and full of energy. Delilah likes to pick her own doggie friends but she does not get along with cats. She would benefit a lot from more gentle training. Hi! 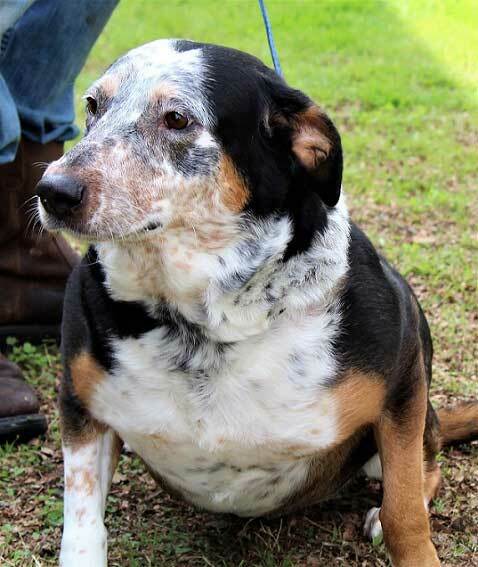 I’m Missy, an 8 year old spayed female Harrier Hound mix. I am looking for a long-term relationship. I like walks around the neighborhood, a good chew toy, and long naps on the couch. I am well house-trained and know a few commands. If I sound like your kind of dog, don’t hesitate … I will be here waiting for you! My name is Daisy One. 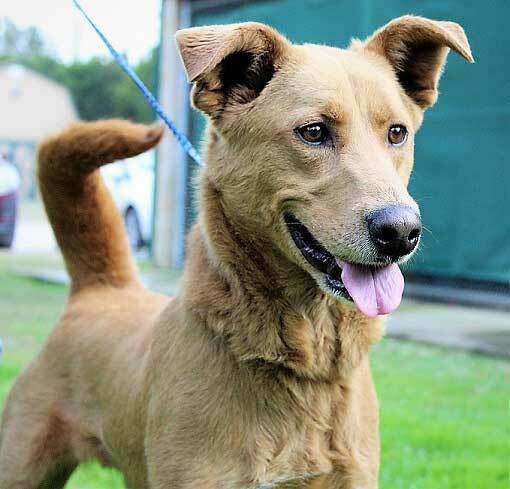 I am a very sweet 2-year-old spayed Lab mix. I’m young and have lots of energy to keep up with any active family. 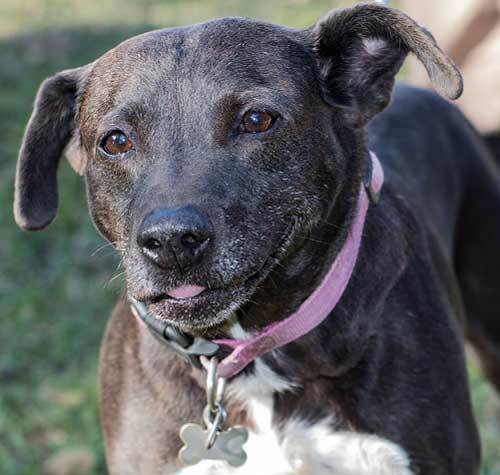 I am pretty well house-trained and like toys, walks, conversations, and lots of petting! Come visit me! Hi! Montgomery is my name. 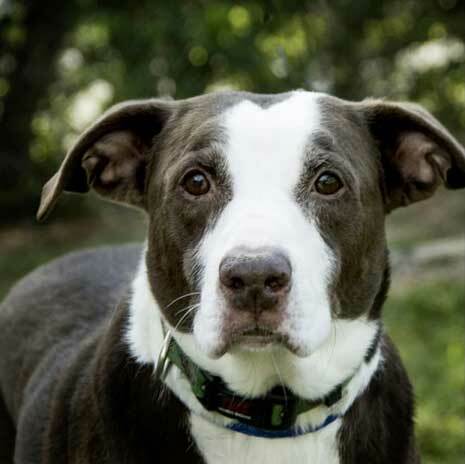 I am a 4-year-old neutered Border Collie/Pit mix. I am a little shy at first, so I need to get to know you. But after we become friends, I love going for walks, riding in the car, lounging in the sunshine, and I love nice, long naps on the couch. Hi! 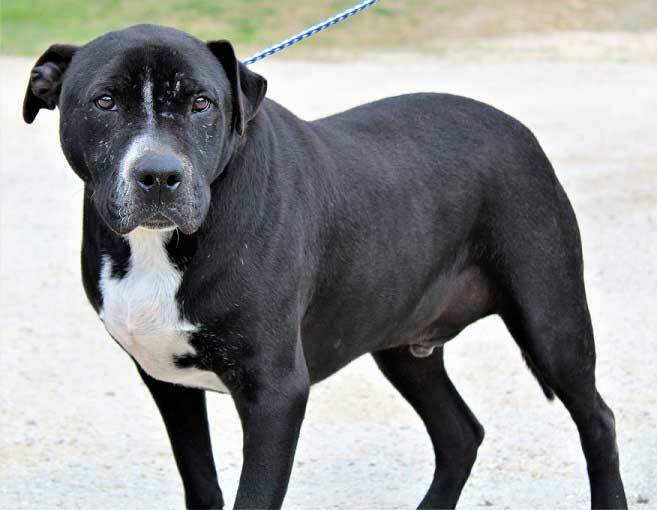 My name is Saturn and I am an 8-year-old female Pit mix. I was found in the middle of the road lost, blind and sick. I still walk on a leash great! Just keep me close and I do good! I am on insulin 2 times-a-day and I am feeling so much better now! These wonderful folks here at the shelter are simply the very best! Kiley is my name! I came to the shelter on 5/15/18. 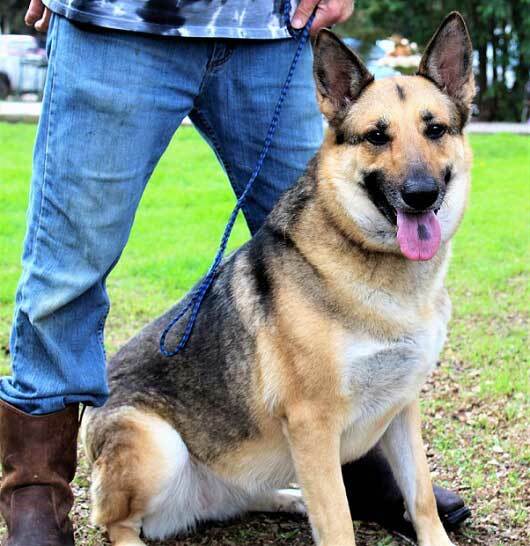 I am a pretty laid-back 4-year-old neutered German Shepherd. I do need to be the only pet. I like going for walks, riding in the car, and most of all being with a forever friend! Stop by and visit with me! 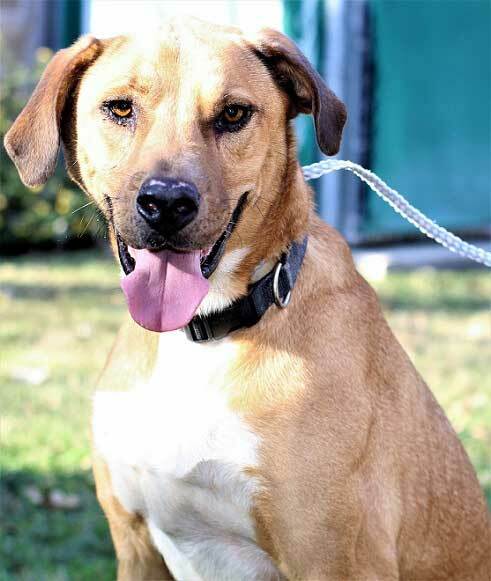 I am Manny, a very handsome one-year-old neutered Retriever mix. I came to the shelter on 1/15/2019 with my sisters. I am still pretty young and, oh, so smart! I love people and learning new things. I will make an excellent addition to any family! Stop by for a visit! My name is Lucy! 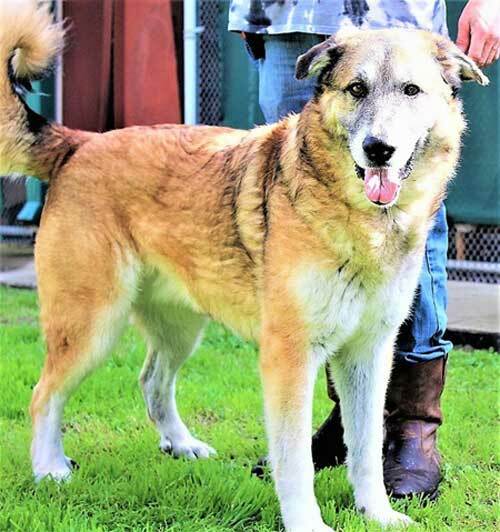 I am a very sweet and laid-back 7-year-old spayed female Husky mix. I am afraid of men. I do a lot better with an older woman. My owner was older and, unfortunately, had to go into a nursing home. I need to be the only animal. I am house-trained. Please come visit with me! 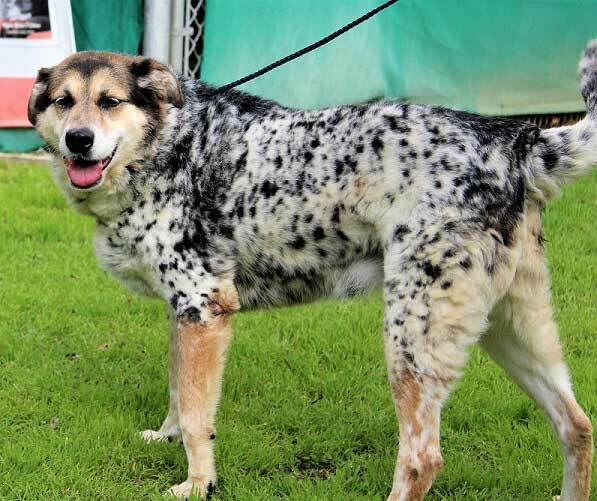 My name is Spot and I am a 2 year old spayed Heeler mix. I am learning to use a pet door, since earlier in my life I was only allowed to be outside (now I find the heat in the house is great!). I get along with most other dogs and older kids. I do get nervous during thunderstorms, as they tend to scare me. I have learned people do like me and are very nice. Come by and see me! Muttley Crue is the name. 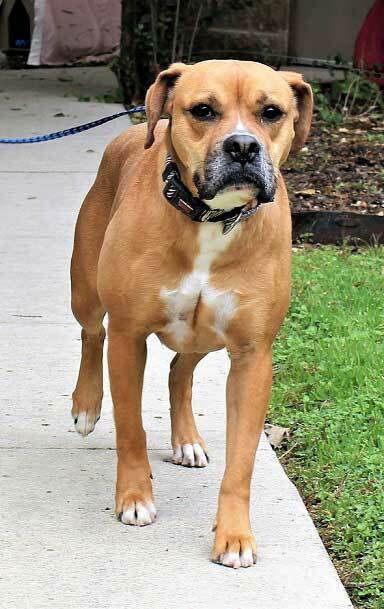 I am a 5 year old neutered Boxer mix. I came in to the shelter on 10/4/2016. I am a pretty laid back dog. I like going for walks, playing in the yard, and hanging out on the sofa on lazy afternoons. I am house trained. I do better with older kids and prefer to be the only pet. Hi! 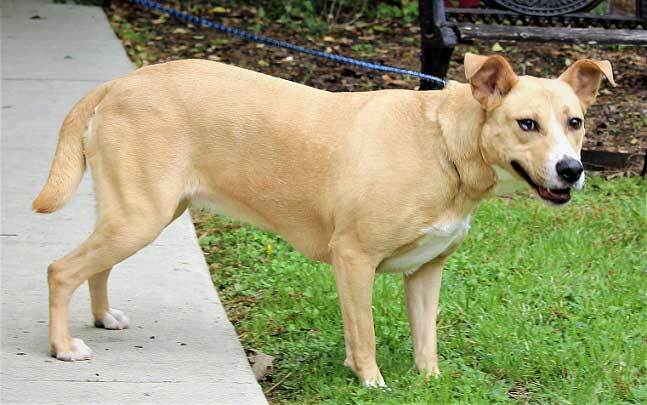 My name is Jasmine and I came to the shelter on 10/20/16. I am 6 years old, spayed and house trained. I am a pretty sweet and laid back dog. I really like to go for walks, love lots of attention and petting, and I like lots of chew toys. My greatest desire is to be a special companion to that special someone. 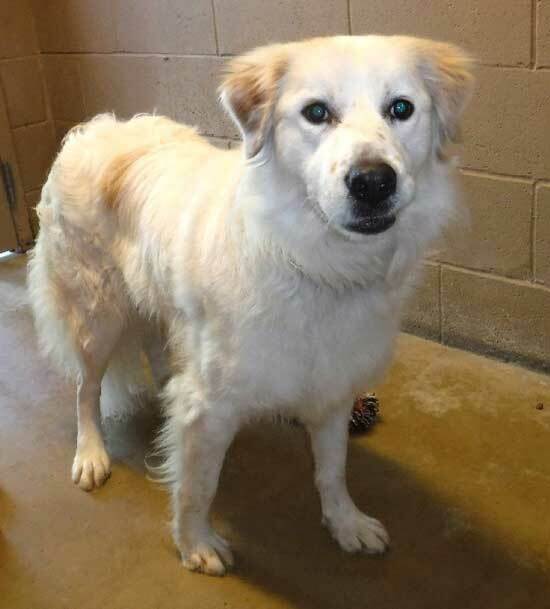 My name is Brea Ivory and I am a very beautiful 1-year-old spayed female Pyrenees mix. I came to the shelter on 2/9/2017. I need just a little bit of time to get used to new situations, but after I get to know you I like to play and take walks. I am pretty good in a car and I like getting get lots of attention … and, of course, do not forget belly rubs! Meisha is my name! 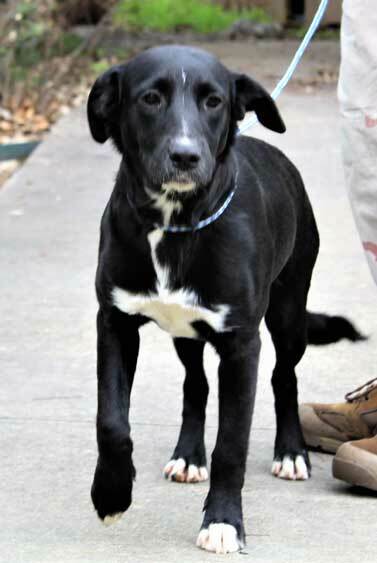 I am a young dog 1-year-old spayed Lab mix, and I have lots of learning ahead of me. I came to the shelter on 9/17/2018. I am pretty smart, so it won’t take me long to learn things. I just need someone who is trusting, loving, and who has a gentle hand to teach me great and wonderful things. They call me Titan! 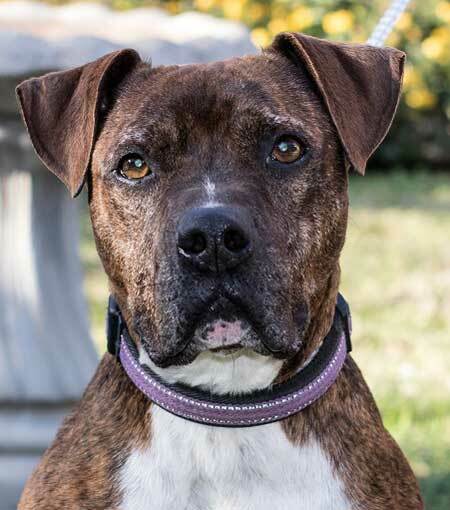 I am an older dog who came to the shelter on 12/13/18. I am an 8-year-old German Shepherd. I am looking for a warm and loving home to spend the rest of my life. I am very sweet and laid back. I am in good health and would love to be your companion. I really need to be the only pet. Come visit with me! My name is Lady! 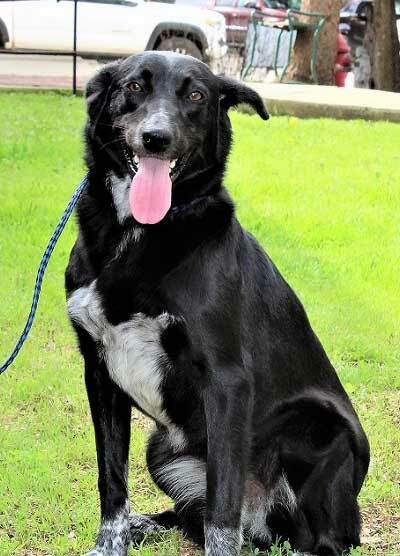 I am a one-year-old spayed Retriever mix. I also came in to the shelter on 1/15/19 with my siblings. I love learning new things and I already know a few commands. And, of course, with reinforced, gentle training I will be a totally awesome family member. Come by and let’s get acquainted! 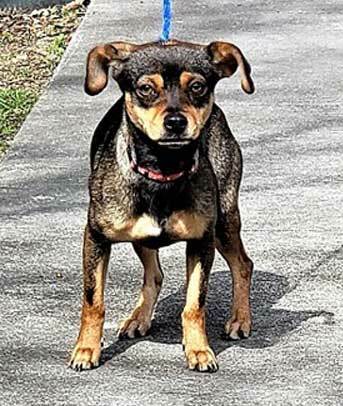 I am Coco, a 2-year-old spayed female Chiweenie mix. I am a pretty nervous little dog and I do not like sudden movements. I was teased pretty badly by kids, so I do need time to get to know you. I do like women much better than men. I was raised as an only pet. I would love for you to come visit with me! My name is Aleiah. I am a 1-1/2 year old spayed Boxer mix. I am house trained. Right now, I am very shy and skittish, but I just need some time to adjust to new situations. I didn’t have a great start to life, but with time and patience I am learning there are some pretty awesome people out there. Are you one of those awesome people? Cowgirl is my name! 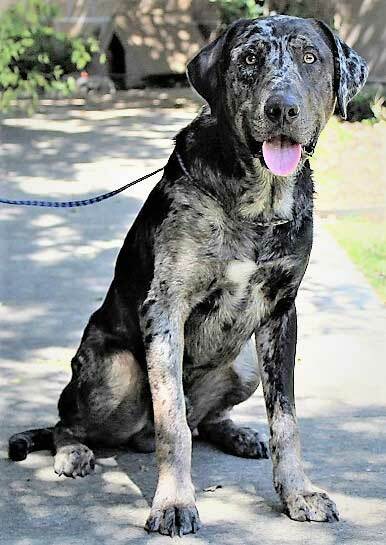 I am a 5 year old Heeler mix. I am a great dog and I’m looking for a place to call home. I am friendly and playful with people but I want to be the only pet. I will make a great companion for you! All I ask is for a chance to show you. Please come see me! Max is my name. 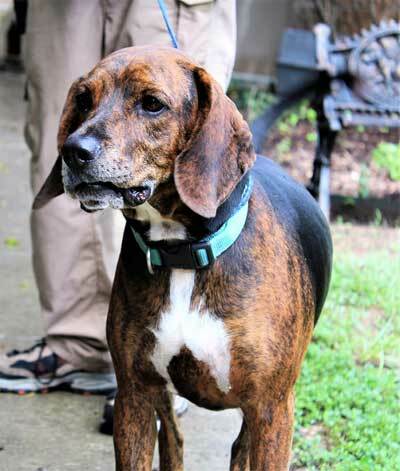 I am a three-year-old neutered male Hound mix. I am a pretty laid-back dog. Of course, I am house trained. I like nice long walks, playing in the back yard and snoozing in front of the TV. I came to the shelter on 10/30/17 and am looking for the right person to come in and take me home. Devon is my name! Let me tell you a little bit about myself. 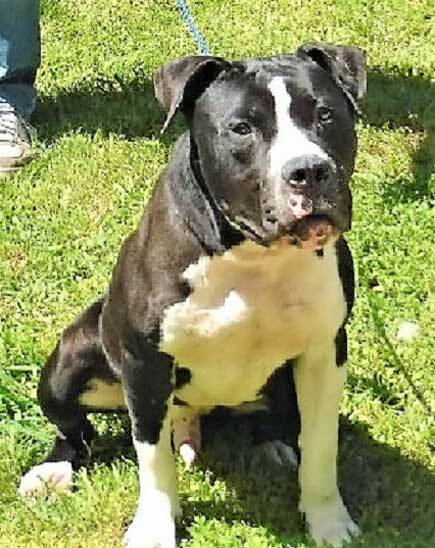 I am a very handsome 3 year old neutered Pit. I arrived at the shelter on 3/23/17. I am house trained, good in cars, and I like to go for walks. But most of all, I am looking for someone to hang out with and do buddy things together. Please come see me! Hi! My name is Capri and I just came in to the shelter on 9/17/2018. 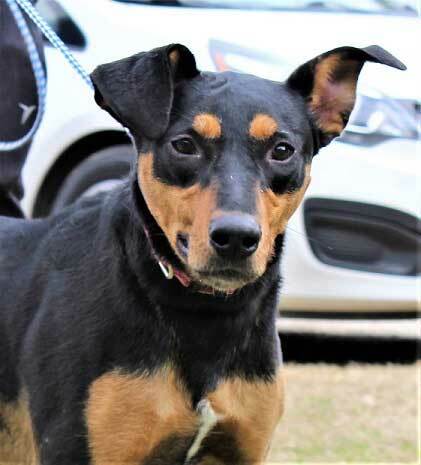 I am a 7-month-old spayed Dobie mix. I am a pretty smart dog and love learning new things! I am looking for someone who is gentle, sweet, loving, patient, and a person who would treat me as a member of the family. I am Birdie! I came to the shelter on 11/26/18. 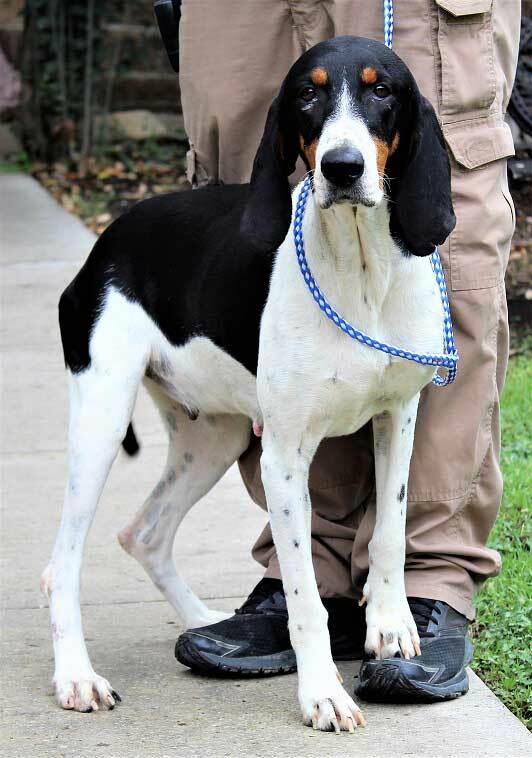 I am a 2-year-old spayed Walker Hound. I am pretty shy at first because I did not have a lot of human contact earlier. I was bred to hunt, which I don’t like at all. I just want to be a loving member of a family. I want to be the only pet, and I need to be part of the family — not left alone in a yard. I am looking for someone who would love me for who I am. Please come by and let’s visit! I am Samson and I think of myself as a big puppy. 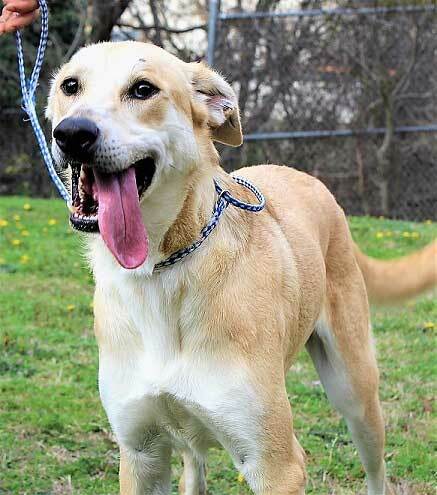 I am a 5-year-old neutered Anatolian Shepherd. I am house-trained. I like to play, run, and sniff new exciting things. Most of all, I want a home that will cherish me as much as I will cherish them. I definitely need to be the only pet. I do better with older kids. Stop by for a visit! Chazz Porter here! 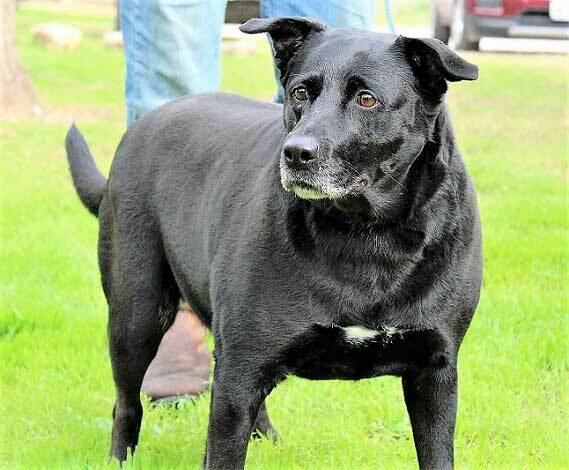 I am an energetic, lovable, great 4-year-old neutered Retriever/Lab mix. I am house-trained. I do get along with some dogs and I just like to pick my own friends. I do like car rides, going for nice walks, and just having fun. Most of all, I want to be part of a loving family. Please stop by and visit with me!